Buddhism is a religion that I was unofficially raised in. The religion I was raised in borrowed heavily from Buddhist ideas. I’m pretty knowledgeable about it when it comes down to it. I might not know the specific teachings, but I’m familiar with the ideas and how to practice them. So, this book isn’t exactly for me. It’s for people who aren’t as familiar with it and/or don’t have a huge interest in learning the specific teachings, such as the Four Noble Truths or the Eightfold Path or nothingness. It’s for those who already believe in the teachings or the principles, don’t need to know the specifics, and want something practical to guide them through practicing these things to lessen their stress because of their thoughts. I definitely took some things from this. Admittedly, for being raised in this, I can do a shockingly bad job at actually practicing the things that I know deep down. I don’t meditate. I don’t watch my breathing. I know that I should, but I just don’t. And, everyone, boy do I know that I could benefit from doing it. 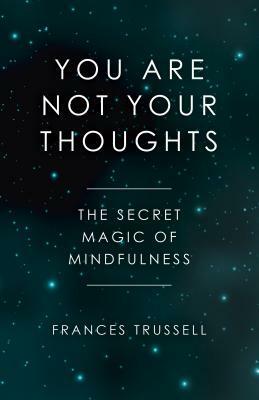 This book gives those little practical things about helping ease into meditation by counting your breaths, in and out, to ten until you aren’t getting distracted. (This is harder than it looks. I tried it.) And then move to only counting your out breaths. And so on. It’s a handy book for those who really want to find good ways to ease into practices that are scientifically shown to be good for you. Do you meditate? What works best for you? Do you fail at meditation like me?